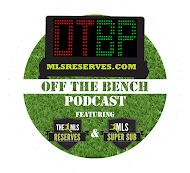 In this episode Luke Lohr and Pedro Gomes break down the latest MLS action. Grant Wahl joins the show to highlight the talking points of the US Men's National Team and talk Landon Donovan. After the dramatic win over Real Salt Lake, Soony Saad of Sporting Kansas City joins to discuss his recent good form and the form of the team. Off The Bench: best when shared. After the US Men's National Team's win over El Salvadore, this GIF was all the rage. You can see why. The Ref in RSL vs SKC was NOT consistent - he missed a lot of calls, some both directions, but in the first half he handed out 3 yellow cards to RSL and 0 to SKC. If Luis Gil's was a yellow, SKC should have received at least 3 for the same foul. If Javi Morales was a yellow, Graham Zusi should've also gotten one when he petulantly threw the ball right in front of the ref after a free kick was awarded just outside SKC's box. He gave a second yellow to Wingert (who probably should have been off from that first foul), but held back from giving second yellows to any SKC players, even though Rosell and Collin (of the players who he DID give yellow cards...not to mention those who didn't get a first one) should both have been sent off. Rosell scissor-kicked Morales - straight red; Collin should've been sent off for denying a goal-scoring opportunity when he took down Olmes Garcia on a breakaway on the edge of SKC's box, and after that he slapped Borchers in the face in that scrum right before the final goal - in MLS, that's an automatic suspension now. And Ike Opara's blatant shove on Borchers with no consequences...given Collin and Opara's violations there, how is that a corner kick for SKC and not a free kick for RSL? Yes, the ref missed calls for both sides. I think Bieler dove, but if a PK'd been given, it's marginal. But there were 2 SKC handballs in the box missed that should've been PKs for RSL. Overall, though, SKC benefited the most because the ref didn't give them cards on the same basis that he did RSL's players. Regardless, Matthew Foerster did a disservice to both teams, to the players, to the coaches, to the league, and especially to the fans, by failing to ever control the match and letting it get way out of hand. No matter how fantastic a writer you think you are, you always need a second opinion. What may seem like crystal-clear details, easy-to-follow plot structure, or incredibly developed characters to you, the writer, may fall flat to your reader. I have read very https://awriter.org/grabmyessay-com-review/ important topics about the client resources. They are issued many updates on your work place for innovations. so we are given this article to reviews in online and thankful to have the great services.